From dads to djs to fellow mongers and cheese enthusiasts, this week’s cheesy newsletter has a little something for everyone. Not sure what to get your dad for Father’s Day? 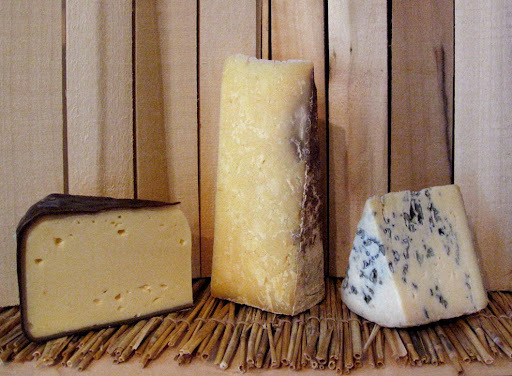 Check out our Father’s Day cheese selection, sure to please the dude who’s got everything. And don’t miss this week’s ‘Cutting the Curd’ update, where we cover NYC’s upcoming Cheesemonger Invitational! It’s been proven again and again throughout the ages… Dads are cheesy! And that’s why we love them. This Father’s Day, why beat around the bush? Show your love a with a cheesy little care package that both he and his tummy are sure to relish! Saxelby Cheesemongers’ Father’s Day Selection includes three hearty half-pound chunks of cheese that are dad tested and dad approved: Cabot Clothbound Cheddar, a stout, grassy and caramelly cheddar from the Green Mountain State, Maple Smoked Gouda a creamy smokey delight that plays games with your senses (is it bacon, or is it cheese?!) and Bayley Hazen Blue, a strong, salty, fudgy blue that’s sure to lead to some late night trips to the fridge. For a cheesy guy on his special day, nothing says I love you like a bit of farmstead fromage! When ordering online, be sure to specify what day you’d like us to ship! Just make a note in the comments field when checking out, and we’ll ship your order whenever you please. ‘Till next week, send your dad some cheese, and be merry! < Cheese Is Good For You!